While walking my dog not long after the official dawn, we didn’t cast any shadows. In Fresno, in the center of California, at the beginnings of January, a slurry of gray fog hugged the gray asphalt path on the gray day. A young man approached us, bundled in a jacket, moving quickly. On this early Sunday, he was the first person I’d seen since leaving home fifteen minutes before. As he spied my dog—off leash and happily trotting ahead of me—he sidestepped, and then hopped over the low bushes that created a border between the narrow path and the wide suburban street. He continued heading towards us. “Nice dog,” he said, nodding and smiling, as he passed us. Now he was behind me. A few seconds later, I glanced back. Why did I do that? Some flicker of neurons in my brain wondered—without thinking, without planning—if the young man might reverse course and start following us. I didn’t see him, though. Maybe he’d turned a corner. Maybe he’d trotted across the fog-bound road and was now striding along a side street. Maybe he had just “disappeared” into the gloom. But not my own private realization. The young man was black. I guessed him to be in his late teens, maybe younger, maybe older. He was skinny, an exclamation point wrapped in a parka, with no covering on his bare head on a cold day. He had a nice smile. And yet, I turned. I looked. Why did I do that? Was it because he was a young black man moving rapidly through an affluent neighborhood in the early morning? Was it because I was alone? Would I have turned if he had been an old man? A parent and a scampering child? Two or three women chatting and getting their daily exercise? A runner in tights dressed for the chill? A father with a baby in a stroller. On any typical walk with Kynzi, in all seasons, I will see other folks: old men, infants swaddled in blankets, fellow dog walkers. I would wave and say, “Howdy.” I would ignore them. I would let them pause and pet Kynzi. We would continue on, and I would not look back. I wondered then, I wonder now, was my gazing behind me a racist action? Was my flash of fear, my shift of vision, racism in a nanosecond? Or do I claim my safe No! response too quickly? Wasn’t I wondering if the young black man who didn’t belong might reverse course, and try to . . .
Why would I think that? Why would I write, even now, that he . . . didn’t belong? I didn’t really think that, did I? Do I? This was nothing. Trivial. Less than a moment in the morning. I was being cautious, not racist. Curious, not fearful. Why be so self-critical over this transitory, meaningless event? All of the churches I served were primarily white. Most of my friends are white. I went to a high school that had one black family. I have been, since the beginnings of ministry, enamored with the writings of Frederick Buechner. Once I read his 1977 book Telling the Truth: the Gospel as Tragedy, Comedy, and Fairy Tale, I was hooked. Soon after, I found his The Faces of Jesus. 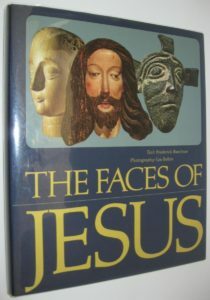 Faces, along with a multitude of books and articles I’ve read since, contains pictures and paintings, snapshots of how different eras and cultures have depicted Jesus. He appears Asian or African, a fellow resplendent in Victorian clothes, an ethnic chameleon, a poor man with mere rags covering his shoulders, a royal with a crown. Every group claims Jesus as a reflection of them. And isn’t he? Doesn’t that fluid way of portraying the Christ represent one of the core values of my faith? All are children. All are welcome. All, however you look, whatever your background, with the smorgasbord of guilt and gumption that represents your life, are welcomed by God. How can I, a person of faith, a person of openness and optimism, turn back and wonder if I’m going to be followed? If I’m going to be hurt? How can I not see myself in others? How can I not first and foremost and forever see the face of Christ in anyone that I meet? 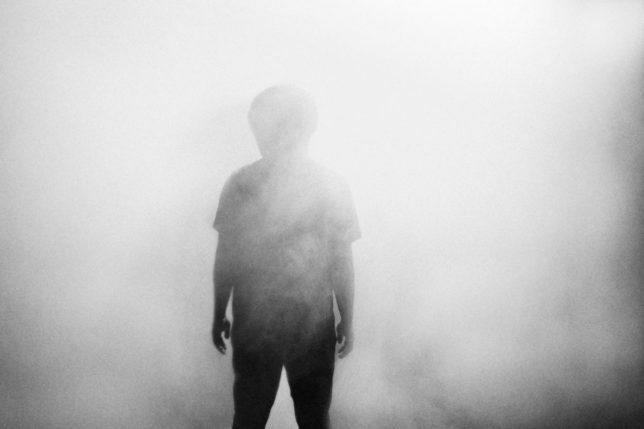 Along with the light of my faith, what lurks in the fog of my soul? Thanks, Pat. I think you are correct about our current negativity, but I’m less optimistic about what I would’ve done 5 or 15 or whatever years ago. But I sure do agree with your notion about Jesus’ likely response: to turn and ask about the other, and to seek a relationship. Racism is a struggle, at so many personal and cultural levels. In the still brief history of our American experiment, we have spent more time since the Revolution with laws (let alone informal practices) that segregate and denigrate people of color. Larry, very good observation of a personal action. I have often found myself doing the same thing. I’ve concluded that I am racist for many reasons. I was raised in a racist culture: I hated japs, was suspicious of Catholics, thought blacks were potentially dangerous, felt superior to many others who came from foreign countries. It hangs around me like the Fresno early morning fog. I have fought these demons all my life. Took classes in college on prejudice and race, in seminary did in-depth work, in graduate school beyond seminary did additional work, spent time in muti- culture groups and after all that I often feel I’m responding to a racist cue. At 86 I’ve admitted I’m a racist and asked for forgiveness, confessed my sin and live only by grace. John – Thanks. Forgiveness matters, at multiple levels. I suspect that forgiveness (regarding racism and other soul-building or soul-hurting issues) is easy for me write about it, but far harder to live out as I try to be faithful. I so appreciate your openness to your own struggle and continued growth.